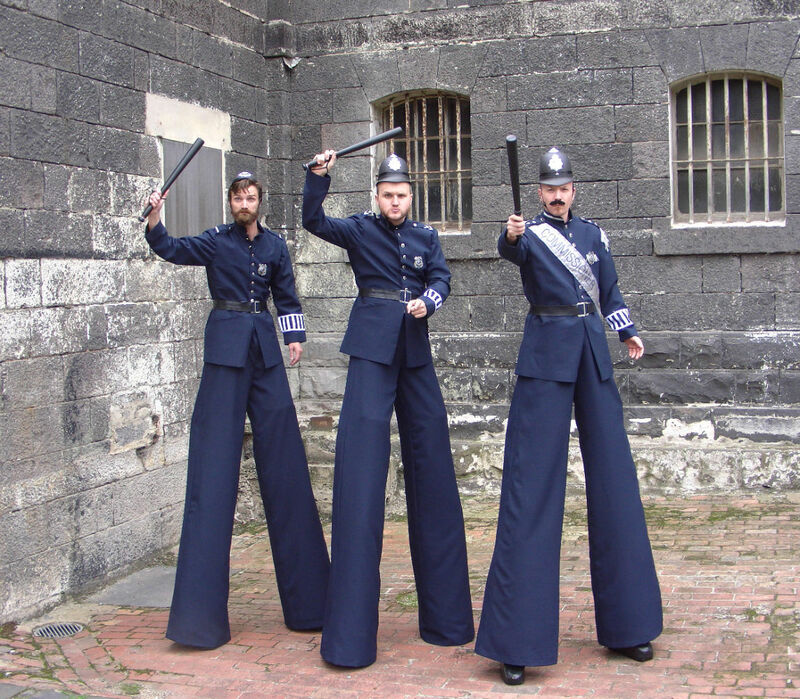 Forget the long arm of the law, these boys are all leg! 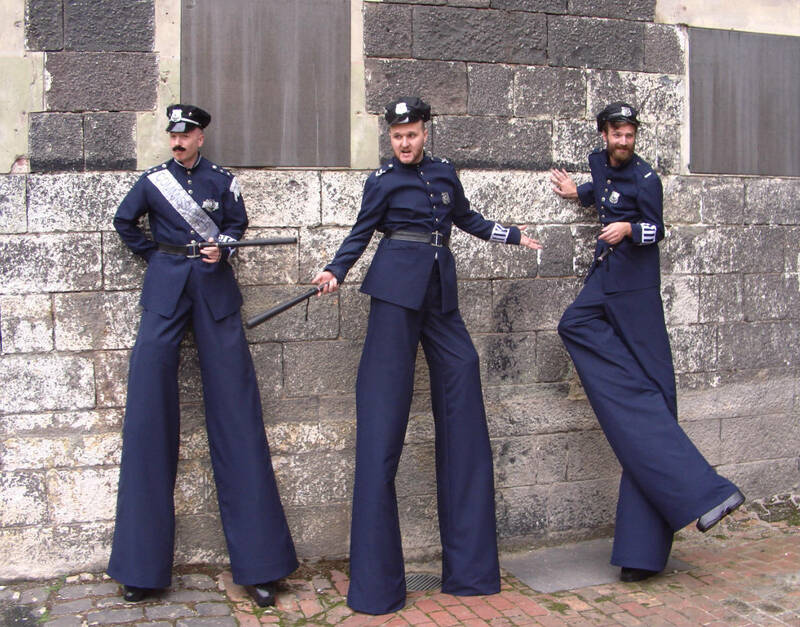 In a world without superheros you need the Stilt Police! 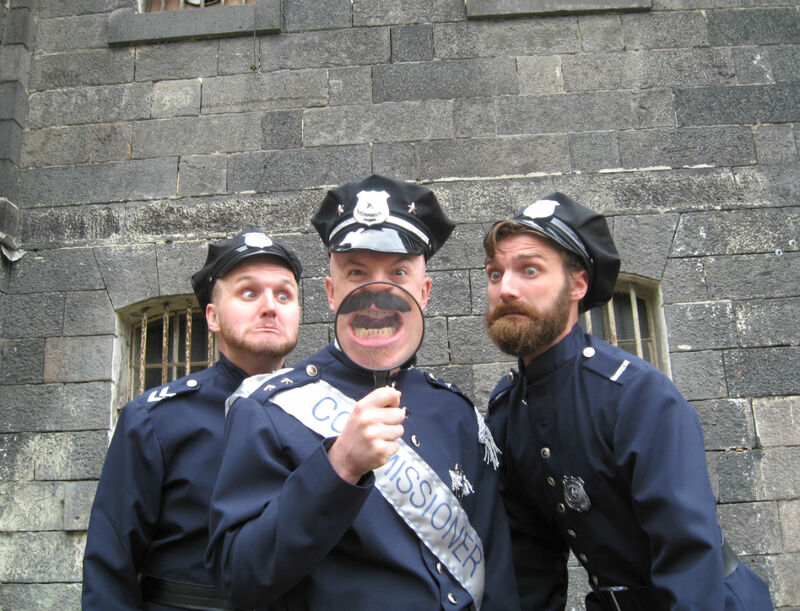 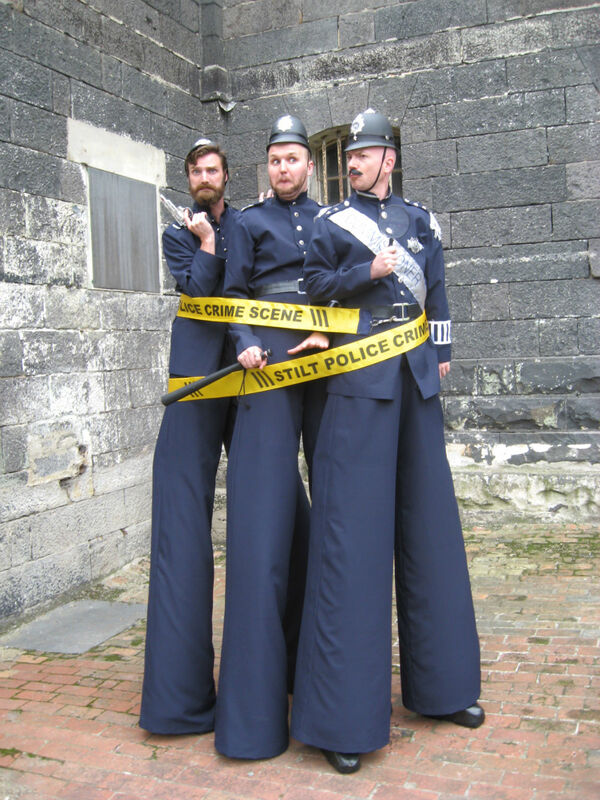 A comedy trio of stilt walkers, our boys in blue will tickle you pink! 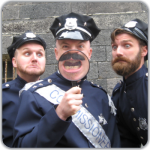 These olde world, oafish officers are thoroughly engaging roving entertainers and if they can’t win your heart they’ll make an arrest – a cardiac arrest!This is a roving act that keeps people laughing. 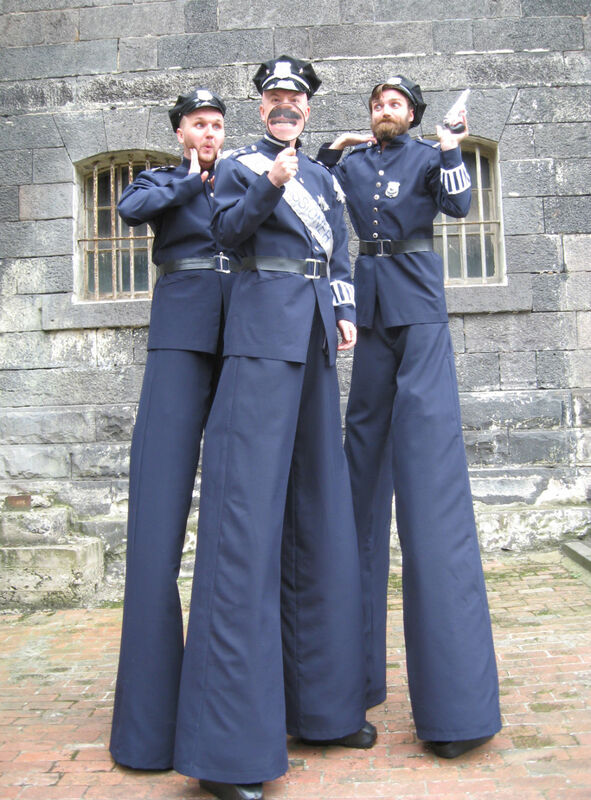 So whether you steal hearts or commit fashion crimes, no one is above the law – except the Stilt Police, of course. 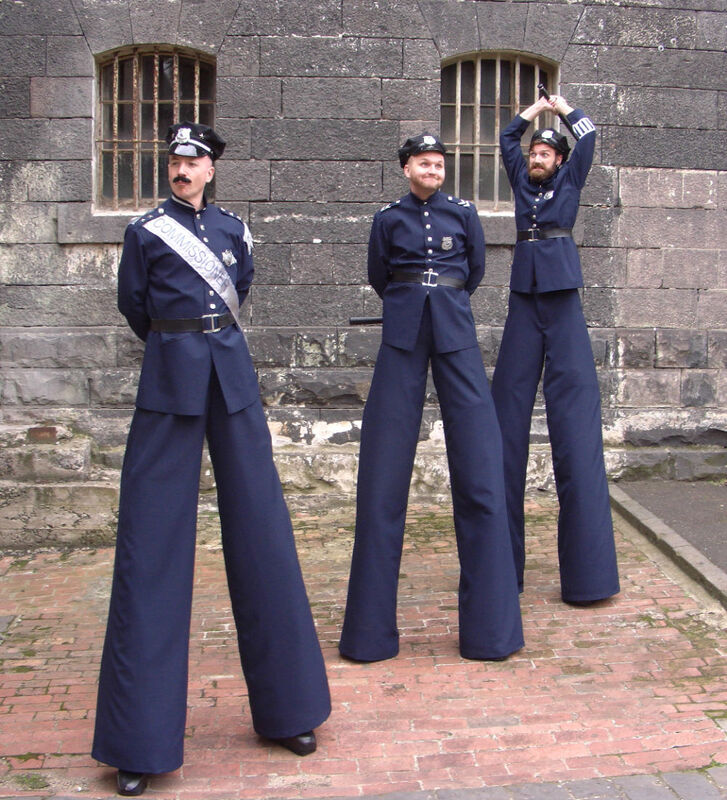 See how they delight people at your next event.